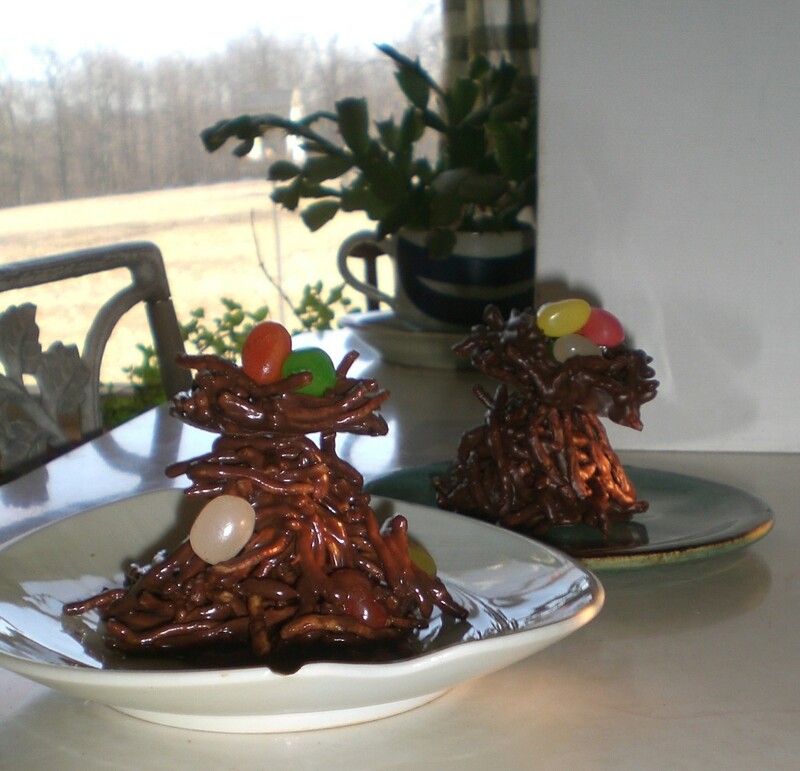 Chocolate covered chow mein noodles and jelly bean eggs combine to make these cute birds' nests for your spring or Easter table. This is a guide about making candy trees with nests. 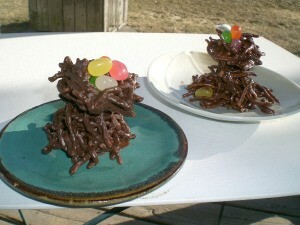 Using chow mein noodles, chocolate and some jelly beans, you can make really cute and yummy place settings or centerpiece for your Easter or springtime table. The crunch with the chocolate make them delicious too! 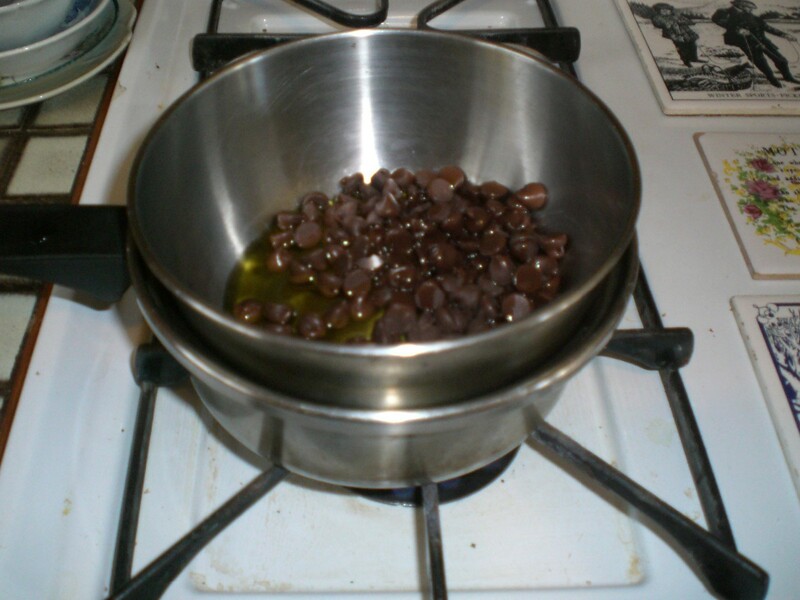 Place milk chocolate chips in either a double boiler or a metal pan placed inside a pan of water on the stove. Start heating slowly. Add olive oil to chips and stir. When melted and liquidy, add chow mein noodles slowly. You don't need to add them all at once. 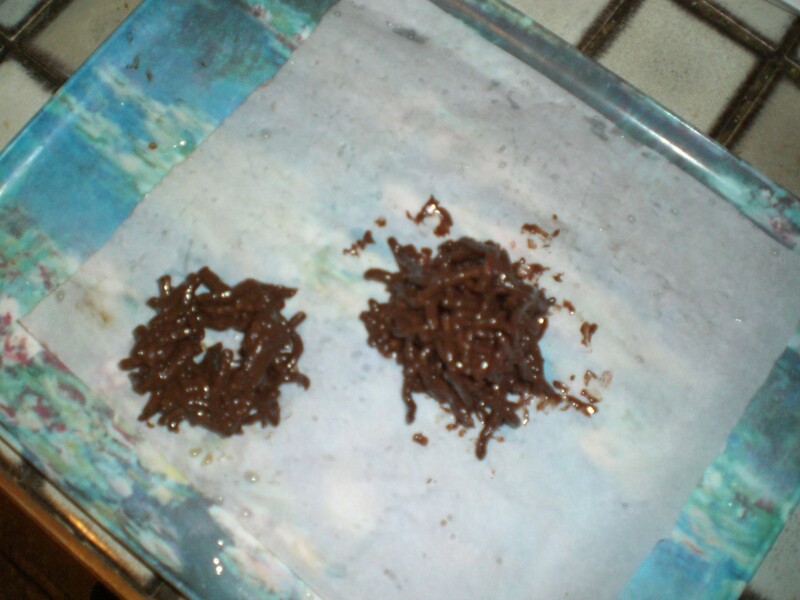 After they are covered in chocolate, use a fork to remove them and place one to one and one half full tablespoons onto waxed or parchment paper as the 'tree' base of the creation. With your fork, take a few noodles out and place on another part of the parchment. You can create the nest with four smaller forkfulls of noodles in the shape of a box. The center doesn't even need any noodles since you will be placing the nest on top of the trunk when they dry. I placed my noodles into the freezer while I did other things to cool and harden. Within a half hour (probably less), they should be hardened into place. I carefully peeled the nest off the paper by placing my one hand on the bottom of them, underneath the paper and carefully peeled them off. 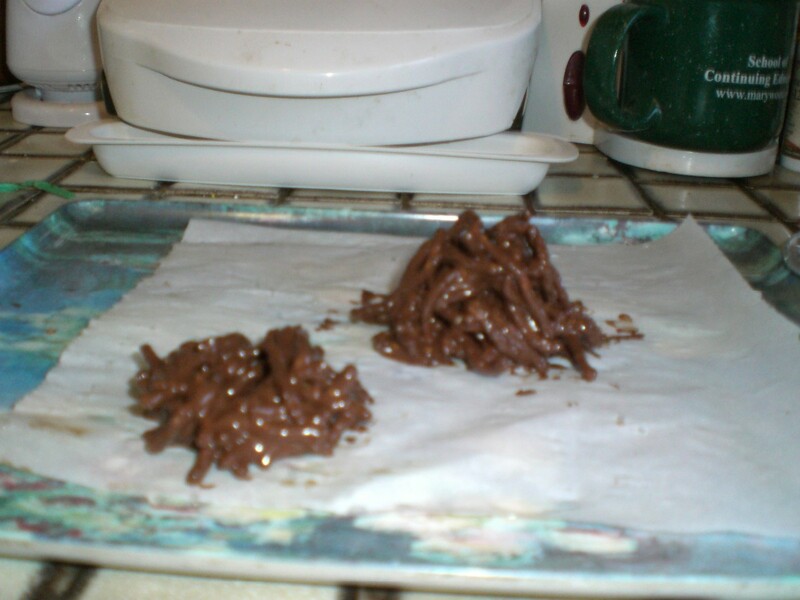 Because I had left a space in the center of the nests, they fit on without any additional chocolate to hold it in place but you may use some softened chocolate to glue it in place if you need to. Then I just placed some jelly beans in the nest! I guess if you wanted, you could align the noodles to try to be straighter (up and down) for the trunk but I liked the gnarled look of a tree. I had a hard time trying to get a photo that showed the trunk with the nest on top but it really looks cute in 'person'.